If you work in clearing fallen or broken trees, you may have a busy few weeks ahead. Here are some reminders on how to keep yourself, and your workers, safe. The rain and wind may be gone, but many of us are still cleaning up after the huge storms that thrashed eastern NSW last week. If you work in clearing fallen or broken trees, you may have a busy few weeks ahead. Here are some reminders on how to keep yourself, and your workers, safe. When you get to a new job, work out whether it is safer to work from ground level, to climb the tree, or to work from an elevated platform. If the weather or anything else changes, check the method you are using is still the safest one. Check its condition before you start. In addition to any storm damage, look for signs of pest infestation, decay, dead wood and bark inclusions. A lack of foliage, soil movement, cracking at the base or a leaning tree could mean it has weakened or shifted roots and is unstable. Check for hazards such as uneven ground, electrical lines, underground services, bad weather, nearby traffic, and people. Also check in on your own energy and alertness levels – fatigue and dehydration can be hazards too. Inspect your machinery and climbing equipment before every use. If you are using wood chippers or stump grinders, it is particularly important that the emergency stops are working and workers are trained on how to use them. Make sure you mark exclusion and drop zones, that no one enters them, and that ground workers have an escape route. All workers need to know what approach you will be using for the job and their role. Staff should always have the right protective gear, be fit for work, and not affected by drugs or alcohol. Each year more than 150 people are seriously injured while doing tree work because of things like falls, working around power lines, working with equipment or being struck by falling objects. By following the steps above, those helping our community clean up after the storms can plan to avoid injury and get home safe. 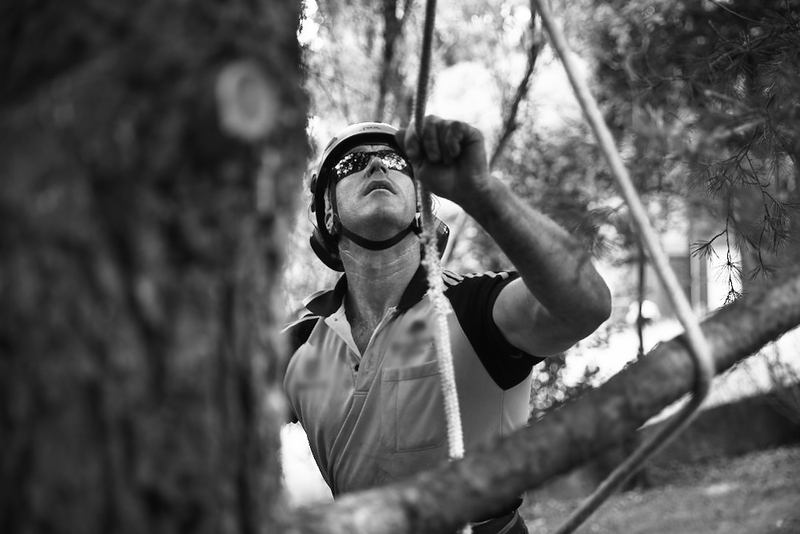 Read more about staying safe while doing tree work.